* Note: Names and specifics have been omitted to make this paper more generic. Today I was invited to share about my role in this mission to the First Nation communities of Northern Canada. I will share briefly how God led me and my family and how he is working through this networking role. Through it I hope that we all can see how we can support this mission in unique ways, even though we may not be missionaries. When we think of missionary work we usually think about the two extremes, giving money and staying…or leaving it all behind and going to a far off jungle. But the mission calls for so many diverse roles. In fact, there are so many roles that Jesus has prepared in advance for us to do. Remember what Paul tells us in Ephesians 2:10. It reads, “For we are his workmanship, created in Christ Jesus for good works, which God prepared beforehand, that we should walk in them.” (ESV) And so, as you listen to this message, stop and consider the role that Jesus is calling you to enter into. I was born in Thompson Manitoba in 1964. I enjoyed my youth there, dirt bike riding, fishing, hunting, camping and exploring the forest. My dad was a miner at INCO metals and my mom managed a Co-op grocery store. Though surrounded by First Nation communities, my world was not the First Nation world. It was the Caucasian, middle class Canadian world. My world was a secular unbelieving world, filled with many cultural biases’. I met Jesus at the age of twenty two in a campus Christian ministry. I served the Lord in campus mission for twenty six years, the last fourteen was heading up a single family house church in the small university/farm town called DeKalb Illinois, seventy miles west of Chicago. Fourteen years is along time. When I tell people that I headed up a house church for this many years, people are amazed at our family’s persistence. It was a very long time and we were so blessed by our experience. But as I look back on those years now, I can see that God was using that time for some other future chapter in my life. I would have plodded along at the house church ministry until my dying day if it were no for God’s sovereignty. For those who know me, they know that I am the kind of guy who would rather stay put and have nothing change. When my family grew from two to five members, I was content in my two bedroom apartment. “Why move?”, I thought. I have been a nurse at the same hospital, on the same unit, doing the same job for eighteen years now. I like it. I have no intention of moving. In the same vein, I would have never stopped the single family house church. But God considered this time as a preparation for something else and he was going to move me, even if I could not move myself. He would lead me and my family into the next chapter in this ongoing saga of mission. It was not easy for me to change course. I had really hunkered down and was entrenched in my own ideas. But God worked through many emotional and relational struggles. In 2012 I knew that I needed to become part of a community church, where there was local support, friendships and for me, Christian male fellowship. My family needed healing and restoration. God led me to a community church. It was the first church we checked out and from day one we made it our home church. God made it very easy for our family to commit there, for God not only wanted us to be there for our restoration, but also to introduce us to a very unique mission. At the time, the church was praying to send missionaries to the First Nation people in Northern Canada. There were two families praying to go. These families were starting their training at a missions agency. The vision for this was cast by Frank Drown, who was part of the missionary team in Ecuador, where the five missionaries were martyred. Pastor Steve and the church had tried their best to find some open doors to the region, but none were opening, for ten years! It just wasn’t God’s time. The pastor knew that I was from Canada and he and invited me to share what I knew about First Nations in Northern Canada. I shared about what I knew from my very limited vantage point. At this meeting a critical event occurred. God moved my heart to say, “I know some people. I can make some phone calls.” That started a series of thirty or so cold calls and interviews, followed by written reports on each. My northern Manitoba heritage opened peoples’ hearts. People started offering advice as one person pointed to another. Soon we were entering into a sister church relationship with a church in the region. God sent people with many resources, mentors, airplanes and housing. The written reports helped missionaries stay informed. The reports, along with so many other things, helped create an environment where God could lead them to make a decision to answer Jesus’ call to the north in 2013. Part 2: What Do I Do As A Networker? Since that time, I was called to be a networker, a church liaison. What do I do? Well…I encourage the formation of prayer/support groups. I serve as a lay person. It is a self supporting role. I keep people informed. I record and write about mission history. I connect partners in ministry. I attend missionary conferences. There I could meet other Christians who are serving Jesus among the First Nation people in the same region. The development of a regional center of learning, The Canada Room, in Sycamore Illinois, is also part of my calling. It is a place where potential missionaries can get specific training to help orient them to the region prior to going there. God has been working through this networking ministry to help bring people together. For example contacts were made with churches. Through those connections we could send a team to one remote community. Through that experience, several people have made decisions to go up North as missionaries. Through this year’s conference doors have been opened to possibly go to another fly-in community next spring. I want to help you grasp how vast this networking region us becoming. Open up your mind’s map of North America. This networking region extends from Texas, to Chicago, Winnipeg, Northern Ontario, Toronto. Minneapolis/St Paul MN, Duluth MN, (and even LA), and back to Chicago. The region is vast. God has revealed so many mission minded Christians with such willing hearts and with so many resources and partners in ministry. This is such a vast region. It is hard for me to keep my mind and heart wrapped around it all. It shows the need for more networkers to be raised up. As the scope of the mission increases so does the need for networkers to promote these missional connections. God really works through networking. I feel that networking is one of the many reasons why this mission in expanding so much. Who would have thought that since 2012, God has established two missionary families who are living in the region along with such a vast system of supporters? There are even more missionaries coming along side. God has his fingerprints all over this mission. He is establishing a strong foundation. As a networker, there are times when I feel that it is all too much to handle. My capacity to embrace everything set before me is limited. This trip is amazing, with its 3,000 miles of road tripping and 14 meetings with partners in ministry. But it is exhausting. But Jesus gives me strength. When the going gets tough, knowing that Jesus is control calms my heart. It is not about me and my feeble human abilities. It is his mission and it stands on his power. Everything is expanding according to his will. I am simply part of a team, which you are a part of too. This mission unfolds and bears fruit regardless if I am tired or at a time of weakness. It keeps moving forward according to the will of God. Jesus helps me to hold on and I get the privilege of being part of it all. I stand amazed by the grace of God in this whole thing. Everyone should have cross cultural Christian mission training. I never used to think this way. I clumped all Americans in one group, “American” and tried to minister the Gospel without cross cultural considerations. But no more. Cross cultural ministry is God’s gift to the church. The Gospel mission to be a networker to promote First Nation ministry is God’s gift to me. The opportunity to participate in cross cultural ministry is God’s gift. It has helped me to develop as a person. I can understand my neighbor. I can know and understand myself. The ministry I am involved in, in Illinois, which is most of what I do, is blessed because of my cross cultural experience in this First Nation mission. I can understand others, attempting to see them from within their own culture experience. Cross cultural ministry has helped me to avoid road blocks in establishing relationships. For example I used to give all people the strong lumberjack handshake, staring them in the eye. I thought that this was being sincere. In some cultures it is OK. But I learned that in some cultures it could be interpreted as aggression. As a result, for some people, I softened my handshake and turned my gaze downward. I used to be offended when people in public service jobs didn’t quickly acknowledge my presence. Silence was taken as insulting and it made me mad. But I have learned now that in some cultures, silence is not bad. Some people want to enter into relations with you, but they are silent, simply checking you out. It may take more time and several visits to start relating more. But that is ok. I learned this through my experience in cross cultural ministry. Now I am at peace when people are silent to me. It means that I am on my way to begin relating to someone. I know that it is not a bad thing. It is a cultural thing. I truly believe that all Christians should take time out to receive cross cultural missionary training. Our society would be blessed if our citizens, secular and religious received cross cultural training. It would avoid so many misconceptions and conflicts among the races. Cross cultural ministry could bring convergence in life. Everyone is seeking convergence in their lives. They want to know that all of their skills, talents and experiences have been given to them by God for a grand purpose. They want is all to converge into a personal calling, a unique mission, given to them by God. God has brought convergence in my life through this mission. It has been thirty years since I have been a Christian. God has granted me some inner tools. Over the years I have taught the Bible on a 1:1 basis, headed up a house church, met so many different types of people as a nurse, written mission reports for thirty years, and have been working with Korean missionaries (some cross cultural experience) in Manitoba and Chicago. I grew up in Manitoba, surrounded by First Nation communities. I love long road trips, even by myself. I believe in lay missionary work. I can operate above denominational lines. I love nature in the North. I am a small town kind of guy. I can tolerate bugs. God led me to live midway between Northern Canada and the mission agency in Texas. God has taken every one of my experiences in life, before meeting Jesus and after meeting Jesus, and has brought them together in one package and is now using them in his world mission purpose. Thank you Jesus. This sense of convergence occurred with I was 49 years old. It took nearly 27 years since believing in Jesus, and still the sense of convergence is developing and maturing, into new things. You need to be patient with God. He is unfolding things in your life and ministry that you can not even imagine now. Trust Jesus and his work in your life. Ephesians 2:10 reads, “For we are his workmanship, created in Christ Jesus for good works, which God prepared beforehand, that we should walk in them.” (ESV) I can go on and on about the benefits of being involved in First Nations ministry and cross cultural ministry. There is a way to serve in the mission, regardless if you go or if you stay. I could advise you to go out and find it. But from my own personal experience, God will bring it to you. It will find you out. Continue to seek first God’s kingdom and his righteousness (Matt 6:33). God is our Sovereign Lord. He is the shepherd of our souls. He knows us better than we know ourselves. Trust him as he leads your life and your family. Convergence is on its way. For the prayer/support network to grow and bear fruit for Jesus’ glory. For solid foundations to be established so that partners in ministry can work together. 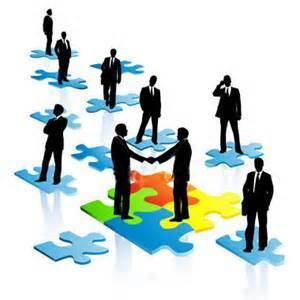 For more networkers to be raised up and these networkers can work together also. This is imperative as the scope of the mission expands.